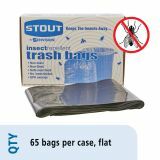 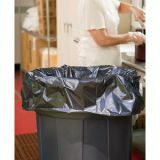 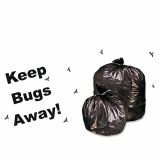 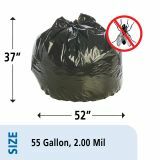 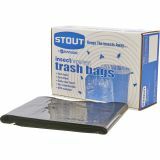 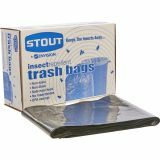 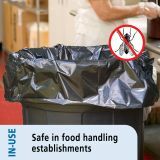 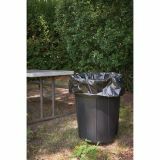 Stout Insect-Repellent Trash Garbage Bags, 55gal, 2mil, 37 x 52, Blk, 65/Box - Insect-repellent trash bags are made from a blend of recycled linear low-density polyethylene plastic, low-density polyethylene plastic and all-natural Pest Guard insect-repellent additive. 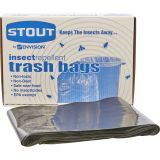 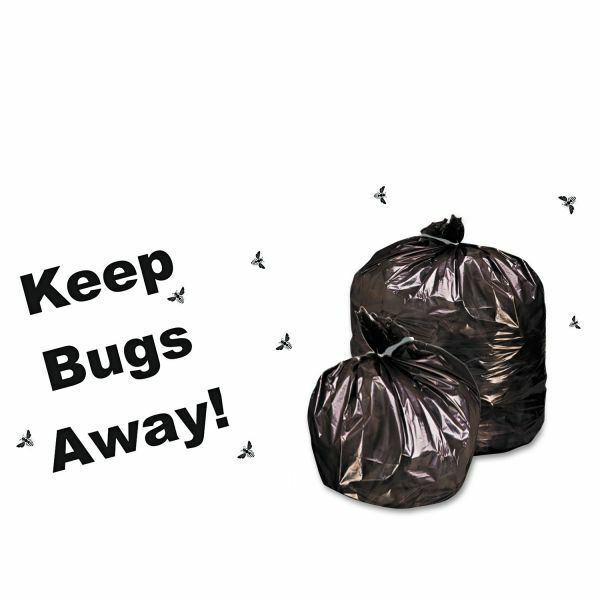 Trash bags offer an effective means of ridding yourself from unwelcome garbage pests. 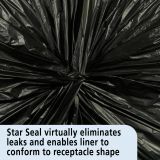 Plus with a star-sealed bottom, there will be minimal leakage incidents. 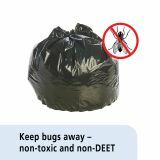 DEET-free (safe for use in food handling establishments).